A set of 26 videos showing brief lessons or mini-tutorials on algebra topics. 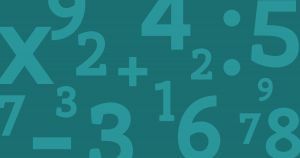 These 2 to 19-minute lessons are appropriate for a first year algebra class. In each video, a teacher uses the blackboard to give clear, concise explanations of such elementary topics as slope, equations, and factoring, but also higher level topics such as conic sections and systems of equations. The purpose of this activity, designing a survey, is “to demonstrate how the results of a poll or other scientific study can be biased by selecting special types of people to respond or by asking only certain questions.” In this well-constructed lesson, students gather opinions on how much homework time is appropriate for them to have. Who should they interview? What questions should they ask? The task culminates in a persuasive, hopefully unbiased, report to the school principal. This practical article discusses ways of adapting various reading strategies to help students improve their answers to extended-response questions on the mathematics portion of high stakes tests. Although initially addressed to Ohio educators, it is ultimately directed to all math teachers. A lesson on how to conjugate regular AR verbs in the preterite form. This is a great introduction to speaking in the past tense and is an intermediate level topic. The video is in lecture format with a black screen with words behind the instructor. Run time 04:36. MELBOURNE HALL, Derbyshire. Lead garden figures on a plinth entitled "Cherubs reconciliation". Photographed in 1954 by G B Mason for the National Buildings Record. ST PAUL'S CATHEDRAL from Cannon Street, City of London. A horse-drawn bus, a barrow boy and other traffic in Cannon Street, with St Paul's Cathedral forming a backdrop. Campbells Press Studio, 1905. TEMPLE GARDENS, Temple, City of London. General view of the Temple Gardens at night. Photographed by Eric de Mare between 1945 and 1980. Met dit werkbad kunnen leerlingen de maal- en deeltafel van twee, drie, vier, vijf en tien inoefenen. This Web site is the homepage of an initiative to create a new Java specification for wireless devices. Several documents are available for public viewing, including the Proposed Final Draft of the specification, which was released on June 4, 2003.